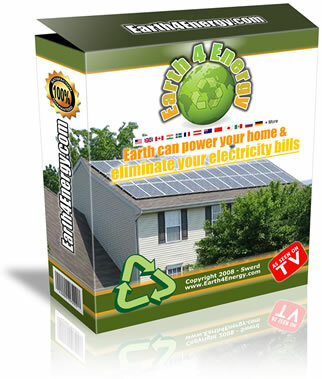 If you are planning to set up your own home solar energy system, one of the key components you’ll need is the power inverter. With so many different models of power inverter, which one should you choose? This post will list out 4 types of inverters in the market and I hope it will help you in your selection process. Among the various types of inverters designed to provide electric supply when supply from the main source is not available for reasons like tripping in the main grids, fault in any of the equipment under use for power production and transmission etc., a square wave inverter costs lowest; but it ranks lowest in its efficiency too. The supply from such an inverter may cause damage to some gadgets that are sensitive. Square inverters can supply power up to 500 watts and can be connected using a cigarette lighter fitted to cars. However, use of square inverter is not advisable for domestic solar power system for its inefficiency and possibility of damaging the equipment. A modified sine wave inverter has gained in popularity over the years because it is economical and acts as a power source when needed with least possibility of causing damage even to most electronic gadgets in domestic use. The pattern of the electric power these inverters produce wave that can be categorized somewhere between a sine wave and a square wave giving them a popular name of “quasi-sine” inverter. Here a word of caution; these inverters are not suited for running gadgets that involve motor speed controls or timers. For such equipment a different type of inverter is needed. The waves that emanate from a true sine wave inverter are more or less like a pure sine wave curve. Though falling in the category of the costliest type of inverters, the benefit in using them is that they produce power which is qualitatively better than the power supplied by the utility companies! These types of inverters are suited for delivering power to any AC electronic equipment; they behave excellently to cope with variation and cut off/on power as is needed by the AC load. 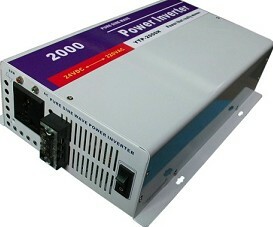 This type of inverter is needed when you intend using solar power to support power received from the utility source. It efficiently relays power from solar panels to various electrical appliances in use at your home; because of reduction in actual power drawn from the main supply grid, benefit of reduction in power bills is achieved. The input voltage for power inverter are available in three power ratings; 12 volts, 24 volts and 48 volts. You may choose an inverter of right voltage depending on the distance between the solar panels array and your set of batteries. The specifications of the cables depend on the magnitude of voltage. It is important that the solar panels, inverter and battery pack match in their voltage rating. Despite the knowledge you thus acquire, you should not hesitate to take technical advice before you choose an inverter of the right type and specifications so that it gives you hassle free service. What is the best way of recycling solar energy druing at night?